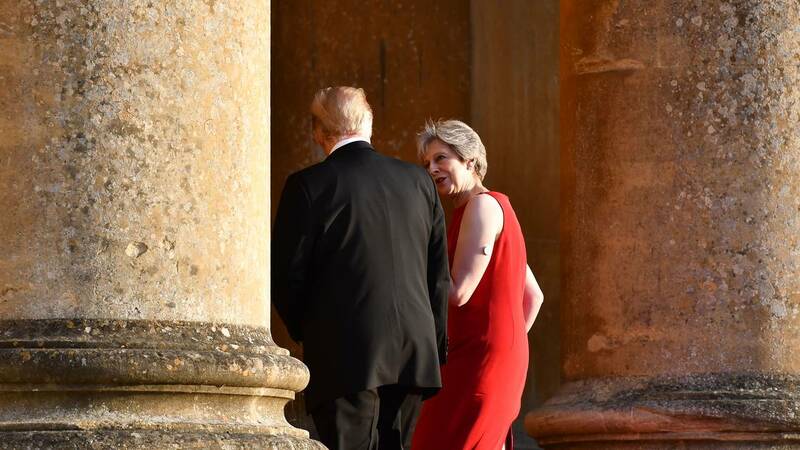 Britain's Prime Minister Theresa May greets U.S. President Donald Trump at Blenheim Palace on July 12, 2018 in Woodstock, England. WASHINGTON (CNN) - US President Donald Trump touched down in the United Kingdom Thursday and spoke with a major British tabloid where he differed with British Prime Minister Theresa May on her approach to Brexit. "If they do a deal like that, it will most likely, because we'll be dealing with the European Union instead of dealing with the UK, so it will probably kill the deal," Trump said. He added, "If they do that, their trade deal with the US will probably not be made because we have enough difficulty with the European Union." White House press secretary Sarah Sanders said Trump's interview shows he really does like May. "The President likes and respects Prime Minister May very much," Sanders said. "As he said in his interview with the Sun she 'is a very good person' and he 'never said anything bad about her.' He thought she was great on NATO today and is a really terrific person. He is thankful for the wonderful welcome from the Prime Minister here in the UK."